We have seen the track-variant Porsche 718 Cayman GT4 (Clubsport) but what about the road-going option that everyone fell in love with? According to Car Magazine, the 718 Cayman GT4 will make its debut at the Goodwood Festival of Speed this year and will pack the same naturally aspirated 3.8-litre flat-six making 420 horsepower (313 kilowatts). 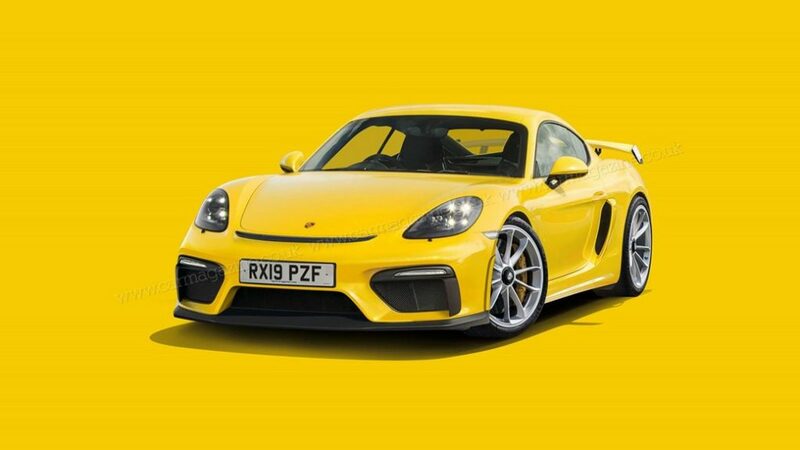 The publication continues to claim the Cayman GT4 would initially be available only with a six-speed manual. However, an optional dual-clutch gearbox would allegedly arrive in late 2020. Obviously it will not be as stripped as the Clubsport version, but elements like thinner glass and fewer luxury amenities would allegedly help to shed around 50 kilograms. As seen in the renderings above and below, it will feature larger intakes in its front fascia, presumably for routing more cool air to the radiators and brakes. A fixed wing adorns the rear deck. The dual exhausts are wider apart than on the GTS, and there’s a prominent diffuser back there, too.